GCN: With midterm elections right around the corner, election officials says they’re focused on putting contingency plans in place so voting can continue even if systems are disrupted. MIT News: The most secure form of voting technology remains the familiar, durable innovation known as paper, according to a report authored by a group of election experts, including two prominent scholars from MIT. The Guardian: Jeremy Corbyn has told Theresa May that Labour MPs will vote against her Chequers plan unless she is willing to accept his proposal to keep Britain in a customs union and protect consumer standards and workers’ rights after Brexit. Electoral Reform Society: Since Labour’s Democracy Review was launched last year, the party’s internal structures have been exhaustively debated, picked over, and now amended. The Guardian: Labour conference delegates overwhelmingly backed the party’s Brexit policy on Tuesday after Keir Starmer sparked a burst of sustained applause for dropping into his conference speech the line that “nobody is ruling out remain as an option”. 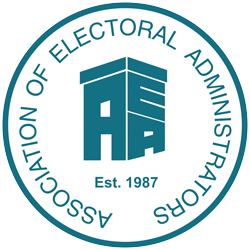 Electoral Commission: This invitation to tender is for an agency (or agencies) to provide Parliamentary monitoring support services to the public affairs team in London and to the Commission’s offices in Scotland, Wales and Northern Ireland, from 5 November 2018 to 4 November 2019. BBC News: Prime Minister Theresa May has said it would “not be in the national interest” for a general election to take place before the UK leaves the European Union in March 2019. RNZ: An Australian IT expert says New Zealand would be crazy to adopt online voting for local government elections and would be opening itself up to widespread electoral fraud.